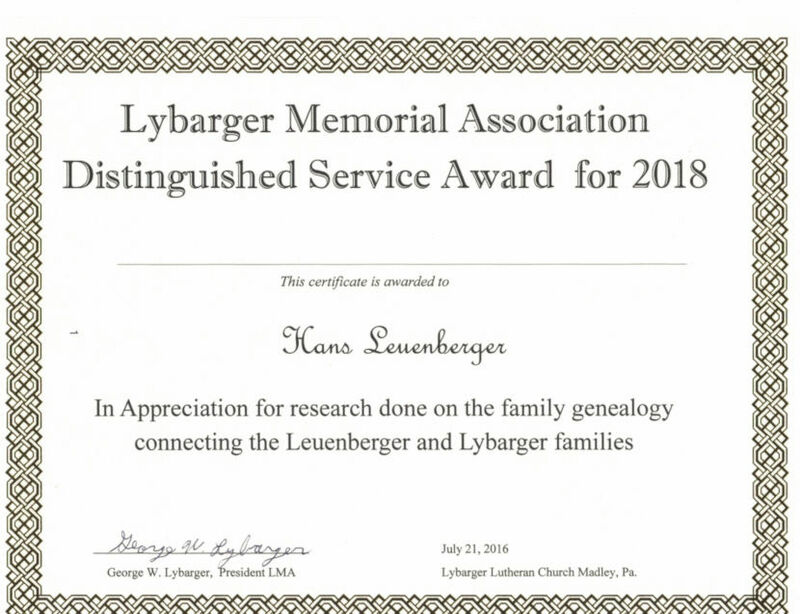 This present is a gift in recognition of the close collaboration of Hans Leuenberger with the foreign office of the Engineering Academy of the United States during his activities as Vice-president of the Swiss Academy of Engineering Sciences. 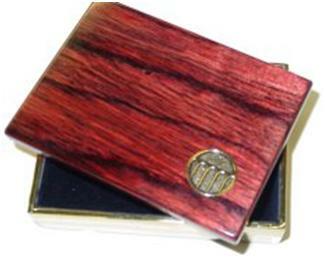 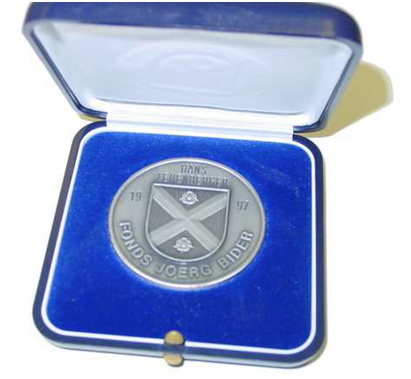 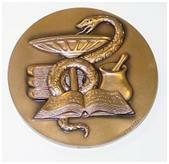 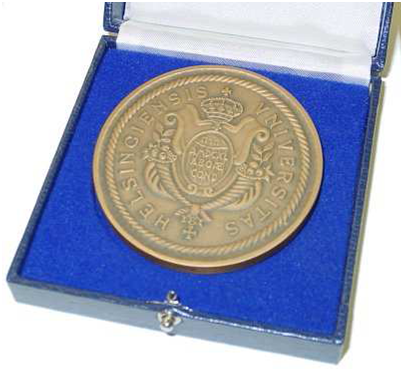 The picture represents the insignia connected to a chain, which was dedicated personally to Hans Leuenberger as "Académico Correspondìente"of the Royal Academy of Pharmacy of the Institute of Spain on April 17, 1997 in Madrid. 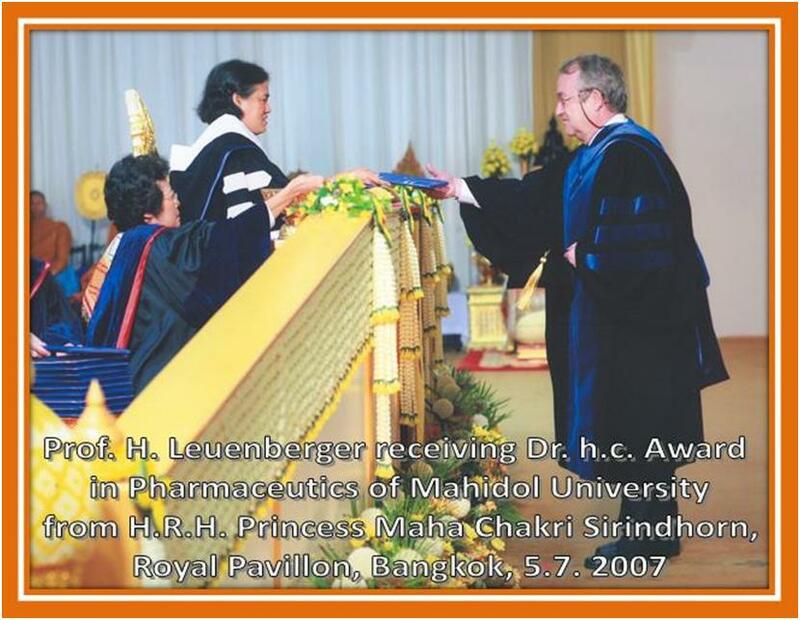 The head of the Institute of Pharm. 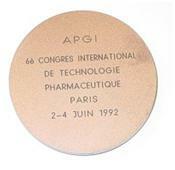 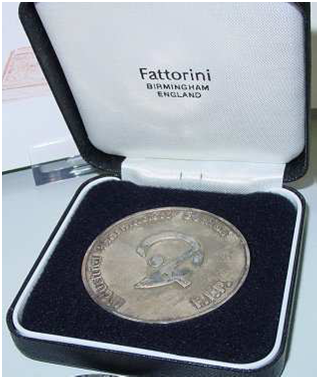 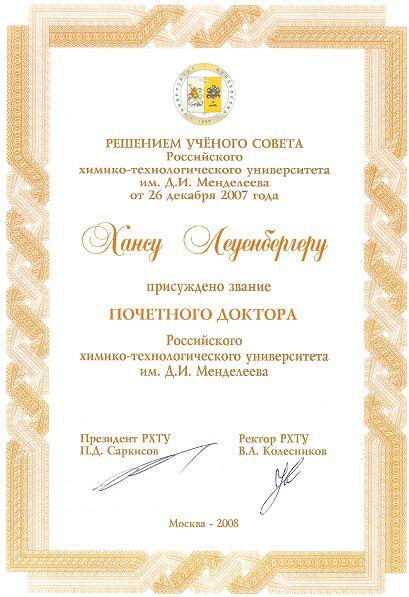 Technology received this IPS –medal award of the Industrial Pharmacy Section (IPS) during the Pharmacy World Congress 2000 (60th International Congress of FIP) on August 31, 2000 in Vienna. 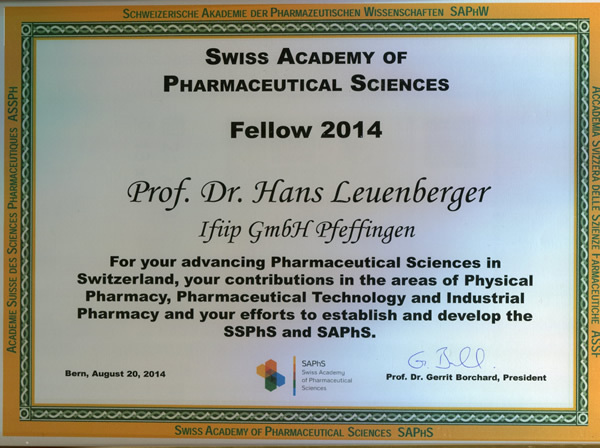 The title of the award lecture was: "Genomics, Globalization, Megamergers, What next?- New Challenges for the Pharmacist in the Pharmaceutical Industry"